2. Who will earn NASCAR’s final two playoff spots, and will one of the two currently on the bubble be knocked off? As it stands Jimmie Johnson and Alex Bowman sit 19 points apart in 15th and 16th in the playoff standings. If a driver without a win were to get a victory Sunday, one of those drivers would be the odd man out of NASCAR’s postseason. 3. Will a driver without a win and outside NASCAR’s top 16 upset the apple cart? There are 14 drivers who must win to get in, and guys such as Ryan Newman, William Byron and Daniel Suarez certainly have the capability to do so. But will they get a win and knock out either Bowman or Johnson? That’s what you need to know for the week. 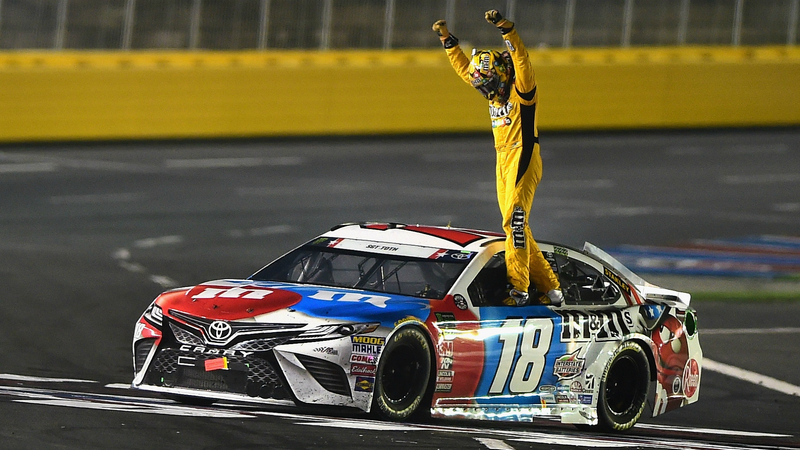 On the betting end it’s simple: Kyle Busch is second among active drivers in wins at the Brickyard with two and first in driver rating. Kevin Harvick has a win, 11 top 10s and the third highest rating. This race will come down to these two drivers and this week, we’re picking Busch to win the race and the regular-season championship in style. You cannot count out Jimmie Johnson in this race. He is the active career leader in wins with four and finished third at the Brickyard in 2016, however, he has just one top 10 in his last four trips to Indianapolis and hasn’t been great this year. For you, it depends whether you trust the wins or this year’s performance. William Byron simply hasn’t been good his last three weeks with a 23rd in Bristol being his best finish, but he had good races at tracks similar to the Brickyard earlier this season at Fontana and Michigan and he won at Indianapolis in the Xfinity Series last season. Add the fact he needs to win to get in and he may be the driver to knock Bowman or Johnson out of of the playoffs. Chris Buescher has been getting better lately though he won’t be able to get into the playoffs without a win. He finished 13th at Darlington and 19th at Bristol. Add that to a ninth-place finish at the Brickyard last year and he could be primed for a decent finish this weekend.